Remember the 2go Classmate PC range by CTL? The company is aiming to get back into the groove of things and has introduced two new models at CES. The new models are called 2go Classmate PC NL3 convertible tablet and the 2go Classmate PC E12. 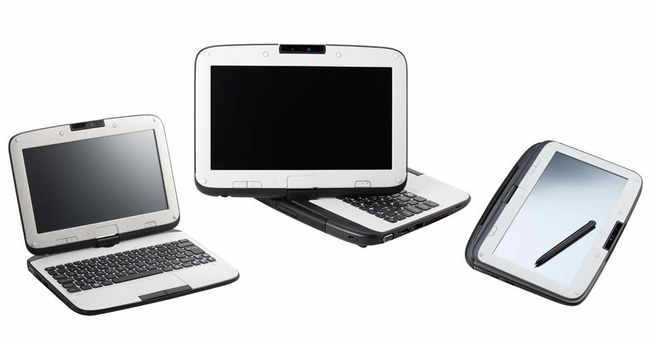 As the name suggests, the PC NL3 looks like a laptop but can be converted into a tablet by reversing its screen. The PC E12 is a more standard looking laptop. The specs for both units are no slouch, with a 1.6GHz Atom N2600 processor powering the new models. There’s also 1GB of RAM onboard. Those looking for a more optimum performance may choose an SSD drive instead of a standard hard drive as the company offers both.